This week I have very exciting news for you! 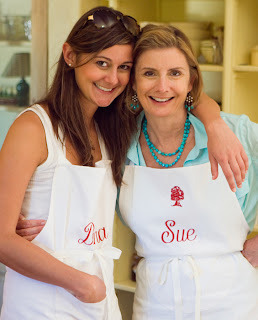 My daughter, Dana, whom I’ve mentioned many times, has offered to team up with me and Return to Sunday Supper to write informative posts about the nutritional benefits of my recipes (we’re hoping to do this weekly)! Dana has always had quite a love for food and nutrition. She’s always telling us the benefits of the food we’re eating, teaching us about the chemical breakdown of different foods, and, ahem, trying (without success) to coerce me to cutting down on butter. (I’m not willing to give it up totally…no way)! I’m so excited for her to join me on my journey to inspire people to return to the table for great meals and the warm pleasure of nurturing and enjoying relationships by sharing those meals. So, without further adieu, welcome to Return to Sunday Supper, Dana! Hi everyone! I’m Susie’s daughter, Dana. A few weeks ago over lunch, my mom asked if I’d like to contribute to Return to Sunday Supper by writing weekly posts on the nutritional benefits of ingredients in her recipes. I very gladly accepted, as nutrition has always been a passion of mine! I’m so excited to fulfill one of my lifetime goals with you: to inspire people to eat healthier by teaching them about the food that they are consuming. I’ll touch on everything from nutritional benefits to food synergy (what foods work best together to offer optimum nourishment). I hope you enjoy reading as much as I love writing for you! Thanks for the opportunity, Mom! Peas…I have always, always loved peas. While you’ll most likely hear me declare my love for the veggie of the week just about every post (I’m such a veg-head) peas have truly always been my go-to. 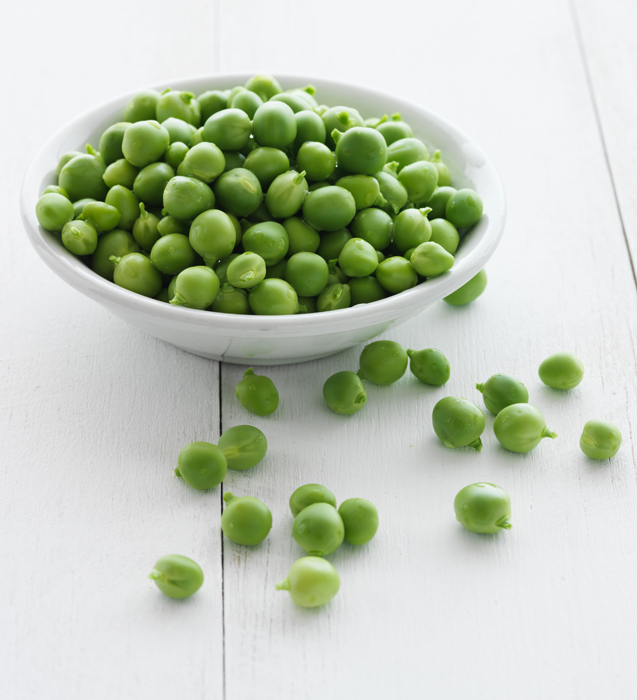 I keep a pack of frozen peas in my freezer all the time…and have trouble keeping them in stock! Peas are one of the most under-rated vegetables that we eat. They tend to be overlooked as they’re not considered a powerhouse like spinach or kale, but peas actually provide a very unique set of nutrients – saponins, specifically pisumsaponins I and II, and pisomosides A and B (notice the “pis” sounds like “peas!” That’s on purpose)! These nutrients are almost exclusive to peas! Saponins may help prevent Type 2 Diabetes by keeping blood sugars low and they have great anti-inflamatory properties! Peas are also a good source of vitamin K, which helps maintain healthy clotting of the blood and omega-3 and omega-6 fats, which may help maintain and control inflammation in bone joints, the bloodstream and body tissue. For that reason, they may help prevent joint pain.More reasons to love them…they are rich in vitamin C, have loads of fiber and manganese and they may help you to have a healthy gastrointestinal tract, and may aid in bone and cardiovascular health. So remember…”eat your peas”! See you soon! Disclaimer – Please note: the information presented in this post is not intended as a diagnosis, treatment or prevention of any disease. Please consult your physician if you are having any medical problems.